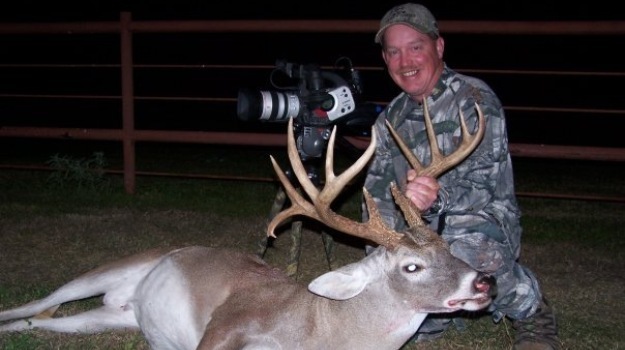 Editor’s Note: Parrish Elliott of Fairview, Tennessee, just outside of Nashville, has been a Mossy Oak Pro for 7 years, a deer hunter for 25 years and a bowhunter for 20 years and has taken more than 80 deer with his bow. 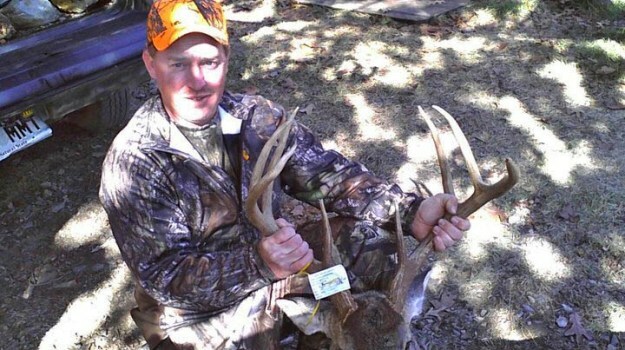 In the State of Tennessee, we can harvest three does per day, during the entire bow season. My family and I eat a lot of venison. So, does are on my hit list, especially during the early season. In the areas I hunt, we probably have 15 to 20 does for every buck. To aid the health of the herd, my friends and I try to harvest as many does as we can. If I see a doe on the first day of bow season, I will take the shot. Then my family will have meat in the freezer. By taking does early in the season, they haven’t been bred. I feel like I am removing one more mouth from the dinner table. So, there is plenty of food left for the rest of the deer. I like to take as many does as I can during the early season. By taking does in the early season, I get tuned-up to hunt a buck. I then can better handle the excitement of having a deer within bow range, steadying my nerves and making a good shot. I like to put three or four does in my freezer at the first of the season. Then, I become a Hunter for the Hungry, giving the surplus does that I harvest to the food bank. 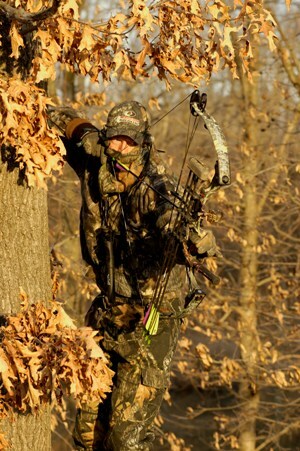 Most of the bowhunters, I hunt with take early-season does to donate to Hunters for the Hungry. 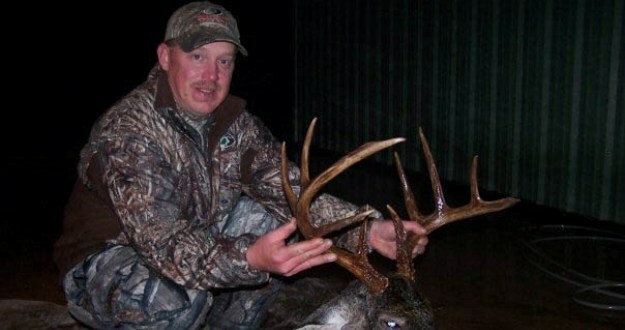 I went to west Tennessee with one of my Mossy Oak ProStaff members to film a hunt. The landowner had asked us to come in and harvest some does for him on his 2,000 acres that was primarily pine plantations and clear-cuts. On our first stand, the wind was swirling. The first deer we saw spooked and ran off. That afternoon we moved our stand to an old food plot that had grown-up in weeds. Six or seven deer were around us. 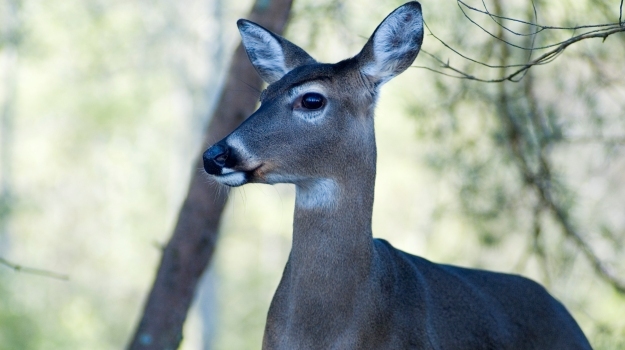 When two does stepped out in front of us, I picked out a doe I wanted to take. I got my bow up and ready, because of the route the doe was taking. She was going to cross in front of us. When I came to full draw, the doe stopped. She was facing me, but she couldn’t see because my Mossy Oak Treestand camo blended in so well with the tree where I had placed my tree stand. Finally, when the deer looked away from me, I let my bow down. When she started walking away, I drew the bow again and took the shot. I had been holding the bow back so long the first time I drew it that when I pulled the bow back the second time and tried to aim, my muscles were fatigued. I missed the shot, at only 25 yards. When the arrow hit the brush, the doe didn’t know what had happened, but she decided to move away from that spot. While the doe was walking and looking away from me, I nocked a second arrow. When she got to 42 yards, I took the shot. When the Swhacker broadhead hit her, she only went about 50 yards. Because the Swhacker cuts such a big hole when it enters the deer, and because the PSE Omen Pro is so fast, I didn’t hesitate to take that shot. Harvest does at the first of the season for meat for your family and/or for other hungry people in your area. 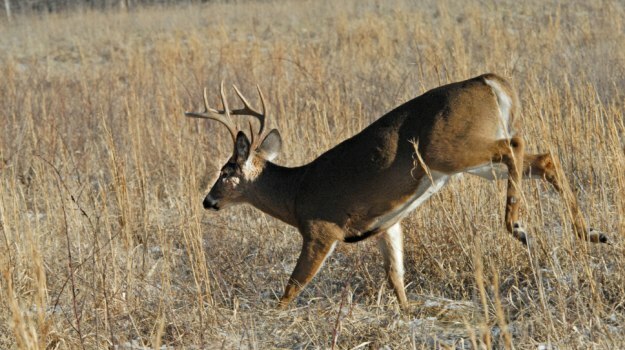 Remember taking does in the early season better prepares you to take a buck later. Test your hunting strategies. Then, oftentimes, you can be very successful in the early season, if you take does in overpopulated areas. Don’t forget that bowhunters provide a much-needed service to their community, by taking does to feed the hungry. Let’s all do our part. I took a nice 10-pointer inside the city limits where I live. A friend of mine had permission to hunt 70 acres and invited me to hunt with him one day. I knew this area fairly well, because it was near where I had grown up. The deer always had been on these 70 acres. I could remember seeing deer on this property back when I was a teenager.